I’ve never experienced anything like that in my 10 year yoga practice, absolutely mind blowing! Highly recommend. Michael from Gongtopia is amazing, a true professional! I’ve done a lot of sessions with singing bowls, crystal bowls, and they tend to be too etherial. This is the first time I’ve ever done the gongs. 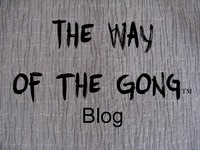 I love the gongs because it’s all about the lower chakras, which is where so much of the blockages are. This is so helpful, but your setup and the different tones, and different kinds, and like all of it, is so beautiful. And I want you to know that the way you talk about it, I’m aware of your heart, how much you love it, and your passion with it. Like, you can tell that you care. And I appreciated that, because I think that whoever you’re working with, that matters. So I really want to thank you so much. Wow. That was incredible. The responses I’ve received following my survey on customer satisfaction last night are some of the best I’ve ever had for any offering from any practitioner since I’ve been in business. Your soul expressed such genuine kindness during your facilitation last night. I thank you from the bottom of my heart for bringing your A-game! This is why I do what I do, because there is something very deep and all encompassing about the vibrations these wonderful instruments produce. They have a direct affect on all those who come into contact with them. 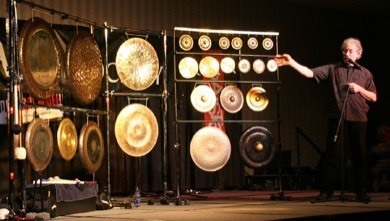 There's something very special about Gongs. I remember the first time I encountered a Gong face to face. It was in Middle School band class. There it was, sitting in the corner on a chrome ring stand. Just seeing it was a thrill, and I was drawn to it like a magnet. Just one little tap and the vibrations owned me. I would have given anything to play it all the time. Everytime I went into the storage room, I would sneak a little tap on its face with my fingers, just enough to release the vibrations. So here I am, over 40 years later, and I'm still enamored with the vibrations. 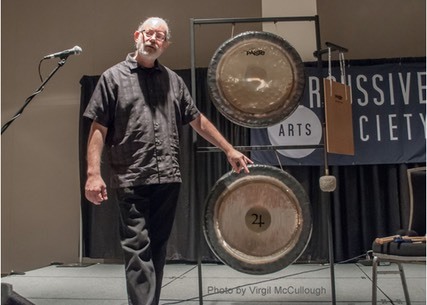 I continue to play the Gongs, Bowls, and Bells, and explore the sounds they make. I actually could feel myself getting calmer and calmer as he struck the gongs with mallets, the shape and color of planets. A few minutes into it, I went into a state of "no thought." I was transported through the Halls of Shambhala, saw Tibetan Llamas before me and the next thing I knew, I saw myself laying in a tomb in Egypt! 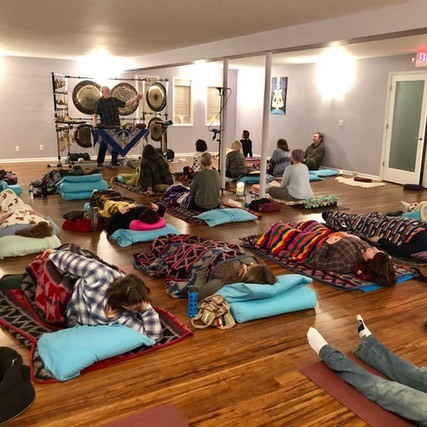 I felt myself moving through cosmic layers, and felt like I was moving into the Center…The amazing thing is the energy of healing in the gongs, as you simply "be", and they transport you. I don't believe in this kind of stuff, but I came with my friend anyway. I was laying on the mat resisting, and when you hit the big Gong, I just opened up! 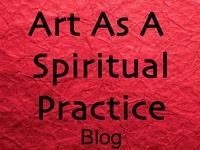 This is all about RESONANCE and creating a vibrational field. Gongs are powerful energy transmitters. Imagine immersing yourself in an ocean of sound where you can relax completely. 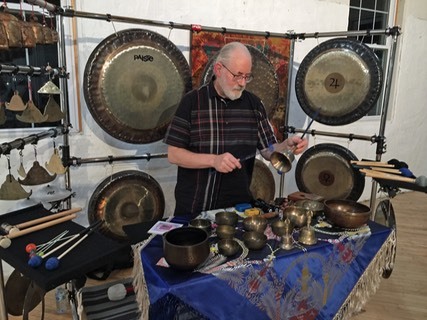 The Gong Meditation Session will both calm and inspire your spirit. The vibrations can help balance and cleanse the energy in your body, working like a sonic acupuncture. They work at a cellular level and can help with stress, fatigue, depression, anger, and blocked energy. But it’s not just the Gongs. I use a large set up of over 50 different instruments. 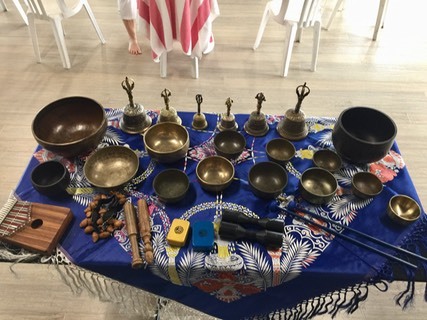 The Singing & Rin Bowls, Bells & Bell Plates, and other metal instuments all affect the human body & mind in a positive way. They all help induce a very relaxed state where the body can rest and rejuvenate. Bettine played the room as much as the instruments, exploring the beating tones of vibrations. Creating a shifting wall of sound that washed over the audience, Bettine offered us a distinctive exploration into the craft of percussion. Michael presenting a Gong Workshop @ PASIC 2005, Columbus, Ohio. It's a sonic experience that relaxed everyone else (and several people fell asleep). It invigorated the hell out of me. I sat there watching him, enraptured. It was loud and invigorating, It lasted what seemed to have been 90 minutes. This raised my vibration to new heights. I felt that experience processing through me for days....truly magic. I saw golden eagles and white tigers. I found myself laying between two giant pyramids. Wow, I can feel the earth and the planets. I had an out of body experience tonight. It's like doing Yoga. I came here all crunchy and tight, and as things went on, I loosened up. I was looking out through the eyes of an eagle. You can find out more about my instruments & set up here.